The Register is proud to announce a new venture: we're getting into the self-help business with The Mindful Sysadmin Colouring Book. 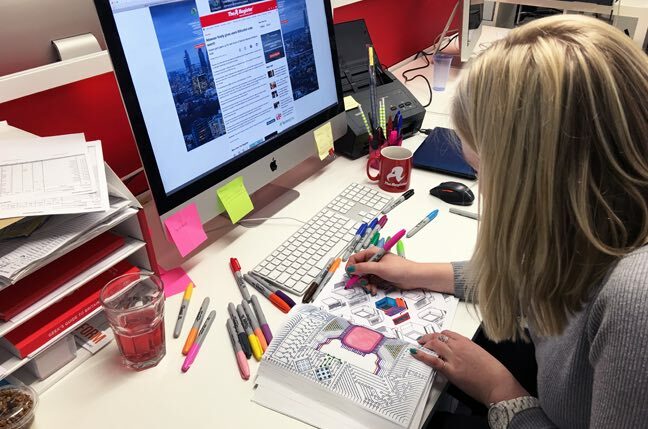 Adult colouring books are the publishing industry's surprise hit. Apparently colouring in helps you to relax. As we contemplated our own effort in the field, The Register engaged eminent techno-psychologist Olof Larpi to design the book. Larpi's seminal work Packetise mielesi: Periaatteiden soveltamisessa TCP/IP omaan neuroverkko is little-known outside his native Finland. The translated title - Packetise your mind: Applying the principles of TCP/IP to your personal neural network - hints at why we turned to the Finn, and why we are attracted to his philosophy of "routed thought." Routed thought holds that ideas must be reduced to small “idea-lets” and allowed to find their own path through a human network. Just as packetisation breaks files into packets and seeks out a path for each, routed thought ensures that practitioners' thought processes consider how best to deliver ideas whole, by first disassembling them. Olof has applied his principles to our colouring book, which he says will help sysadmins to achieve mindfulness by forcing them to re-route their thoughts about familiar technologies. For example: the act of choosing how to colour in a router will allow sysadmins to mindfully re-consider their approach to managing the machines and networks they tend. Try his theories for yourself in the draft images below. 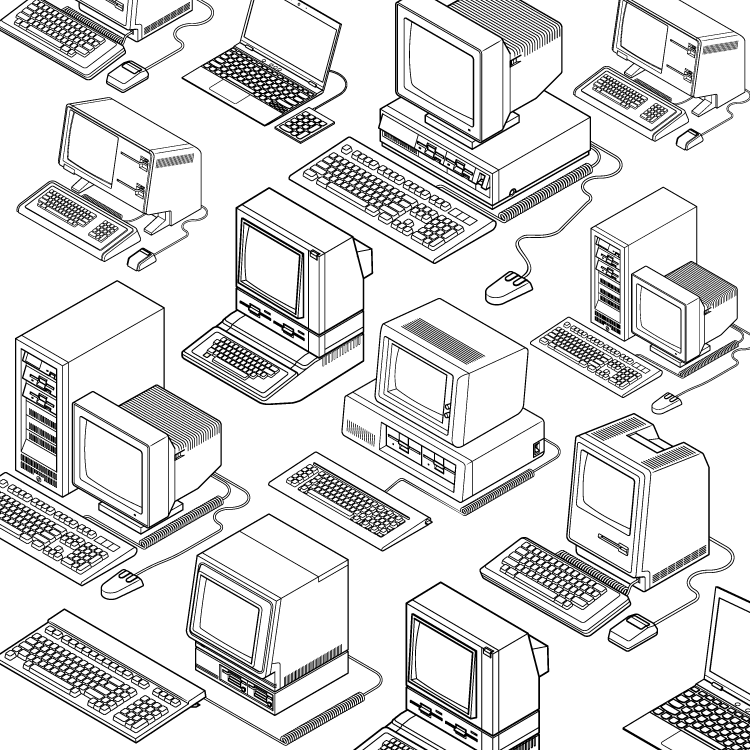 In true Reg style, the final selection in the book will touch on several of our favourite topics, such as the retro PCs depicted in the image below. 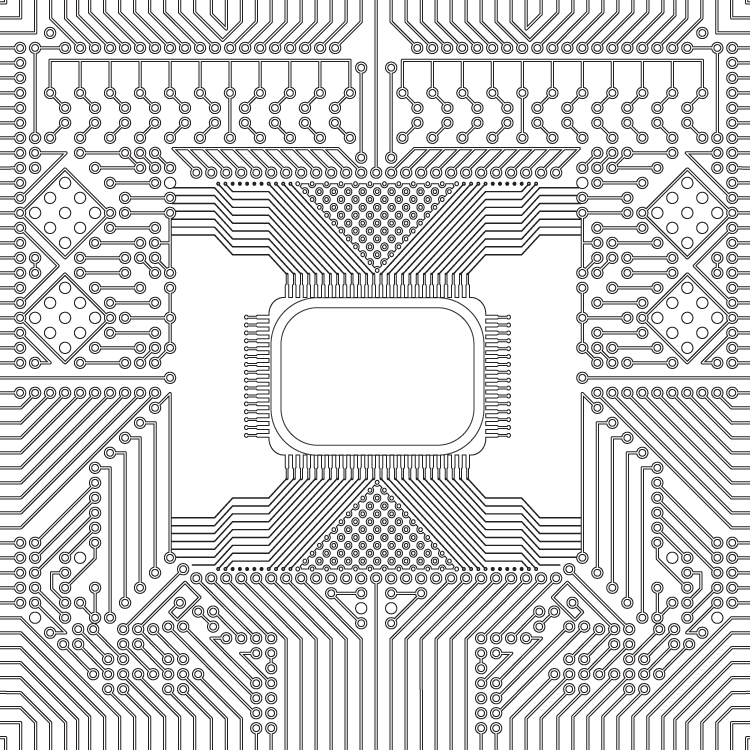 Those of you who manage PC fleets can make a new and mindful connection with the machines by colouring the image below and using routed thinking to restore forgotten knowledge. Lots of readers will have complicated relationships with Microsoft, which currently has a complex relationship with its own past as Satya Nadella embraces Linux and the cloud. 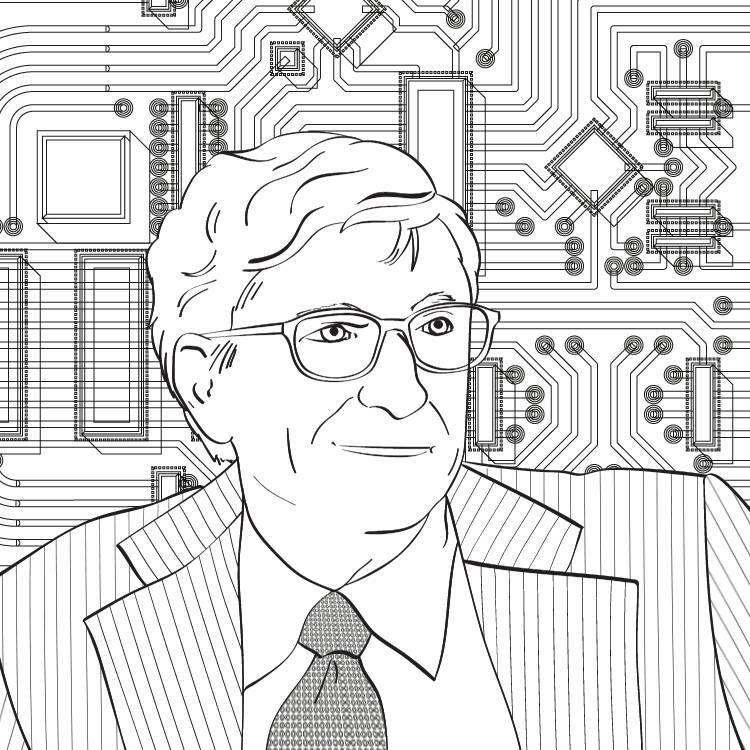 Larpi suggested that colouring in Bill Gates will offer a chance to re-route your thoughts about the company. It's time to re-route your thoughts about Microsoft. Embiggen to colouring size here. Here's another sample page from the book, which will allow you to share an electron's journey through a central processing unit and across the hostile terrain of a circuit board. Those open to new mental pathways will not perceived closed gates. Embiggen here to colouring size.